Children whose minds as well as bodies have been damaged by the intrusions of sexual abuse, violence or neglect, and others, quite different, who are handicapped by their own mysterious sensitivities to more minor deprivations, may experience a type of black despair and cynicism that require long-term treatment and test the stamina of the psychotherapist to the utmost. 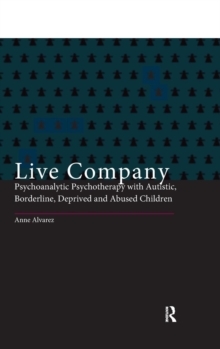 In Live Company, Anne Alvarez reflects on thirty years' experience of treating autistic, psychotic and borderline children and adolescents by the methods of psychoanalytic psychotherapy. 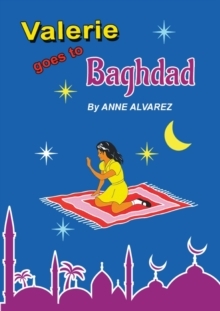 Central to the book is the moving story on an autistic child's long struggle between sanity and madness, in which the author describes the arduous journey that she as therapist and he as patient made towards new understanding and his partial recovery. Modern developments in psychoanalytic theory and technique mean that such children can be treated with some success. 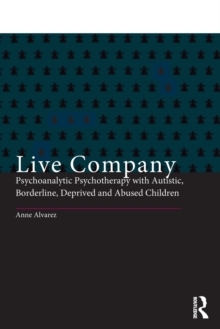 In the book the author discusses these developments, and also describes some of the areas of convergence and divergence between organicist and psychodynamicist theories of autism. Particularly important is her integration of psychoanalytic theory with the new findings in infant development and infant psychiatry. This has enabled her to formulate some new and exciting ideas and speculate on the need for some additions to established theory. 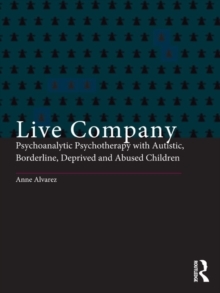 Anne Alvarez has produced a professionally powerful and englightening book, drawn from her extensive experience as a child psychotherapist at the Tavistock Clinic, which will be of interest to all professionals involved with children and adolescents as well as anyone interested in madness and the growth of the mind.